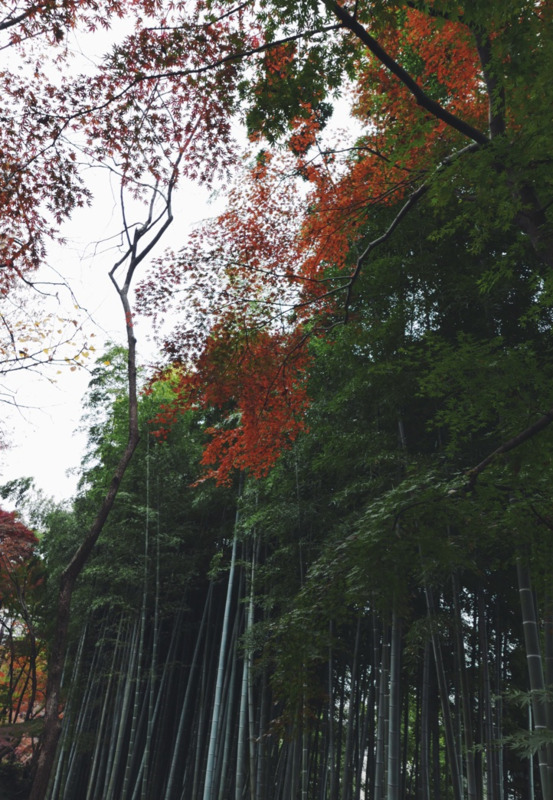 Every year in late November Tokyo becomes ablaze with color as the autumn leaves begin to change. Fiery maples and golden ginkgos transform the prefecture into a fall wonderland that can be enjoyed through early December. 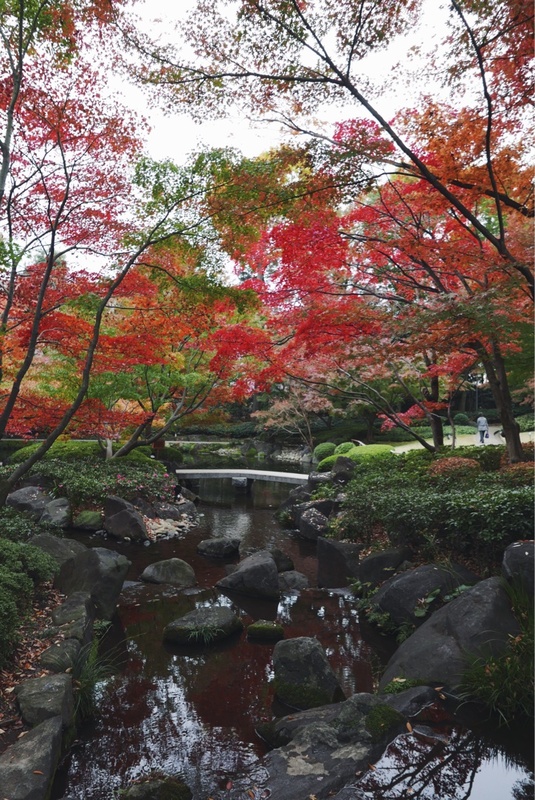 Koyo (colorful leaves) are the cherry blossoms of autumn, drawing huge crowds to Tokyo's parks and gardens for leaf-peeping. To get in on the fun, I joined a fall foliage tour provided by Alpine International of three lesser-known Tokyo gardens for koyo. 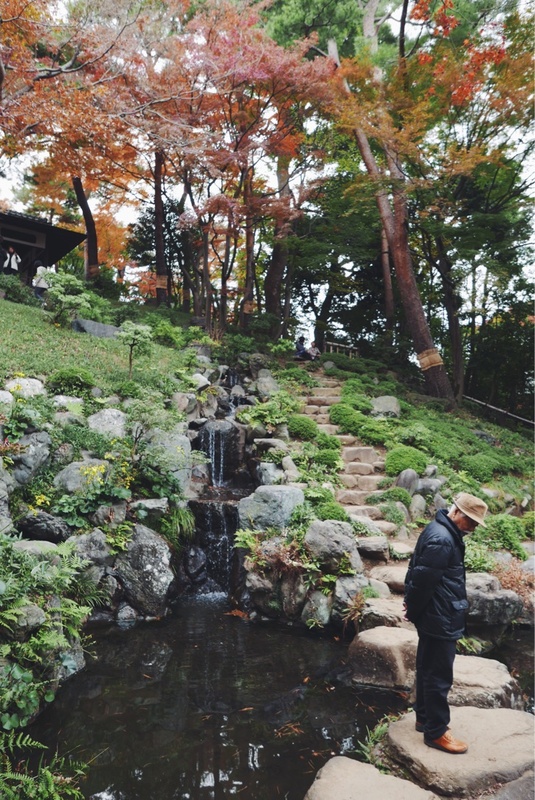 Read on for a look inside each garden - all worthy of a visit if you are lucky enough to find yourself in Japan this time of year! One of nine Metropolitan Heritage Gardens in Tokyo, Tonogayato Garden was originally the grounds of a garden villa belonging to a Japanese railway executive, and later, the founder of Mitsubishi. The garden is quite expansive and features a bamboo grove, Hagi-covered trellis tunnel, beautiful river terraces and a tea ceremony house overlooking Japanese maples. Access: Kokubunji Station via the JR Chuo, Seibu-Kokubunji and Seibu Tama-ko lines. The garden is a 3-minute walk from the south exit of the station. 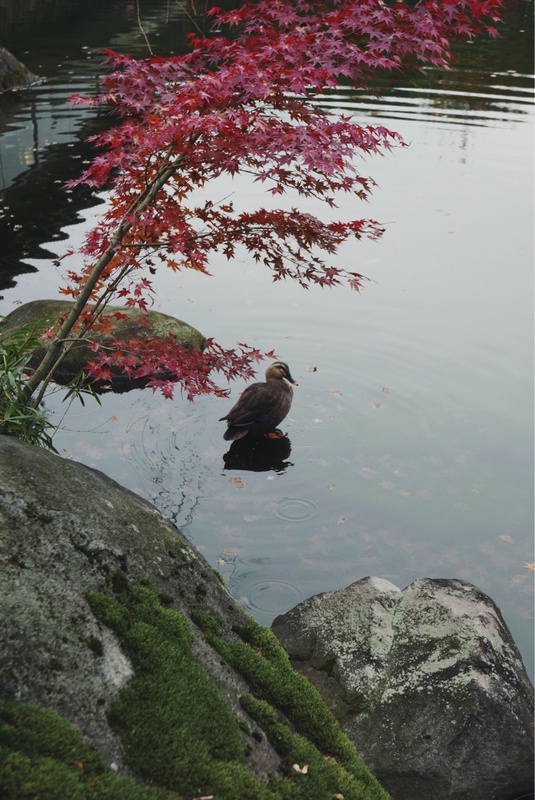 Named after the music composer and critic whose former home still remains on site, this smaller Japanese garden features a stone-paved walkway lined with ginkgo trees, a sukiya-style teahouse and a pond teeming with colorful koi fish. Access: Ogikubo Station via the JR Chuo, JR Chuo-Sobu and Tokyo Metro Marunouchi lines. The park is a 6-minute walk from the station. 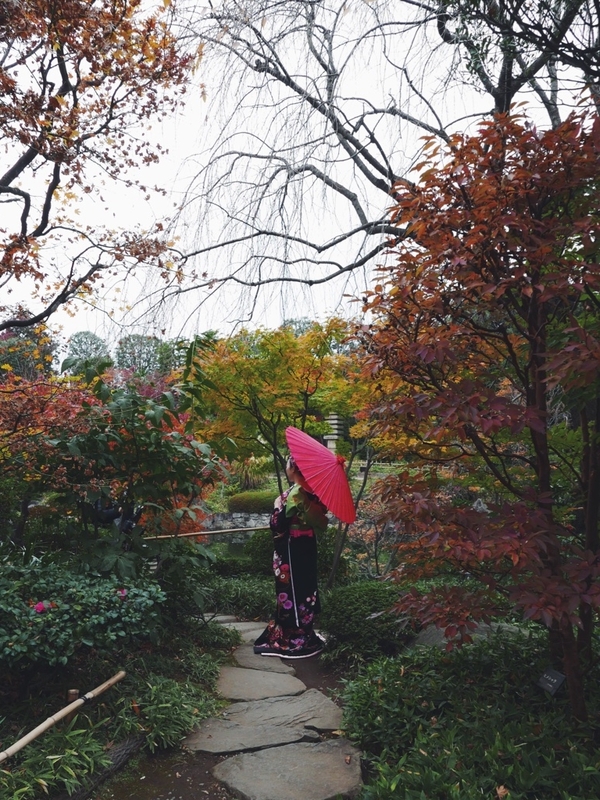 A soft rain had begun to fall by the time we reached Mejiro Garden, making it that much more atmospheric. The park is centered around a large pond where you can spot bathing ducks and, of course, koi fish. Along the perimeter of the pond you'll find waterfalls and stepping stones as well as a gazebo for resting tired feet. During our visit we came across a young Japanese woman dressed in kimono who was being photographed - this park is a smart choice of a backdrop. Access: Mejiro Station (5-minute walk) via the JR Yamanote Line OR Ikebukuro Station (15-minute walk) via the JR Yamanote and Saikyo lines, Tokyo Metro Marunouchi, Fukutoshin and Yurakucho lines, Seibu Ikebukuro line and the Tobu Tojo line. For a detailed timeline of autumn leaves throughout the country, I like this guide. Fall colors in Japan generally kick off on the northernmost island of Hokkaido around mid-September and spread southwards over the span of three months. For a unique leaf-peeping experience, be sure to check out an autumn illumination - pictured here and here on my Insta!